Another way that the John Hunter Hospital laboratory manages their inventory so effectively is the speed of release of product that they can achieve, even without pre-cross-matched blood. 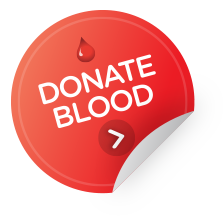 The current cross-match to transfusion ratio is currently 1:1, a ratio that is only achievable as blood products are held as a group and save and is only electronically cross-matched and tagged for a patient at the time of release for the actual infusion. The systems in place allow the tagging and release of product to take the same amount of time as releasing pre-cross-matched blood. The time to cross-match blood using this system is approximately 30 seconds and is the same regardless of whether the situation is expected or if it is an emergency. a decrease in over-ordering caused by units being held cross-matched for an extended period, consequently resulting in unnecessary wastage. The only red blood cell units cross-matched in advance are for patients with complex or extended phenotypes. If irradiated units are required, they are irradiated at the time of release. However, the exception to this policy is paediatric units. These packs are all irradiated on delivery as this assists in reducing the time needed to process requests, ensuring product can be released as quickly as possible. The John Hunter Hospital laboratory ran an introductory session into the workings of the laboratory for clinicians when they first enacted these polices. This resulted in those clinicians who were initially sceptical about the speed of release with this system being confident their service requirements would be met at all times. This inspired greater confidence in the John Hunter Hospital laboratory staff and their management of blood by clinicians and other clinical staff alike.